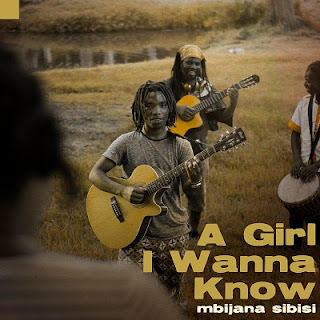 Poet and singer-songwriter Mbijana Sibisi releases his newest single titled A Girl I wanna know. The single is released on all digital platforms and promises the start of a new journey towards his album release later this year. “Reminiscent of a young Vusi Mahlasela, Sibisi will entrance you with his haunting original lyrics and incredible covers of Afro-Western fusion. Beautiful vocals and guitar work lend class to this very polished up and coming Durban performer. 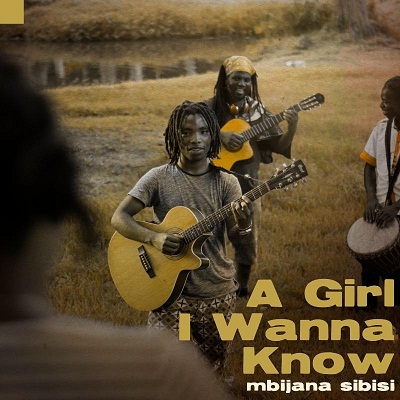 Fall in love with Mbijana's music, and with Africa, all over again.” Charles Webster. The first lyric in this song is You look like a rainbow which is a dedication to the love of Sibisi’s life. With this song he says to travel back to the day he first laid his eyes on her. His sound is a mixture of storytelling and music, in his own words: “I consider myself as a social commentator and believe I am the voice of the people”. He aims to use his music to spread real-life stories about happiness, but is not afraid to touch on societal issues, while at the same time putting smiles on people’s faces. A qualified dental nurse and dental technician, based in Newlands West, Durban, Sibisi was exposed to music and performing arts at the age of 11 when he joined a performing arts group in his community. In 2013, at the age of 22, he gave up his job as a dental technician to become a full-time musician and singer-songwriter, like his musical icons Tracy Chapman, Paul Simon, Vusi Mahlasela, and Bob Marley. Some notable performances in his career include White Mountain Festival, Splashy Fen, The Playhouse, Ushaka and Poetry Africa. He also has numerous performances and tours abroad under his belt, countries he performed include Belgium, France, Spain, Uganda and The Reunion Islands. In 2016 Sibisi entered the television contest titled The Voice and in the same year he independently released his EP History. Besides touring the world, Sibisi is currently working in his album, which he is planning to release in 2018.